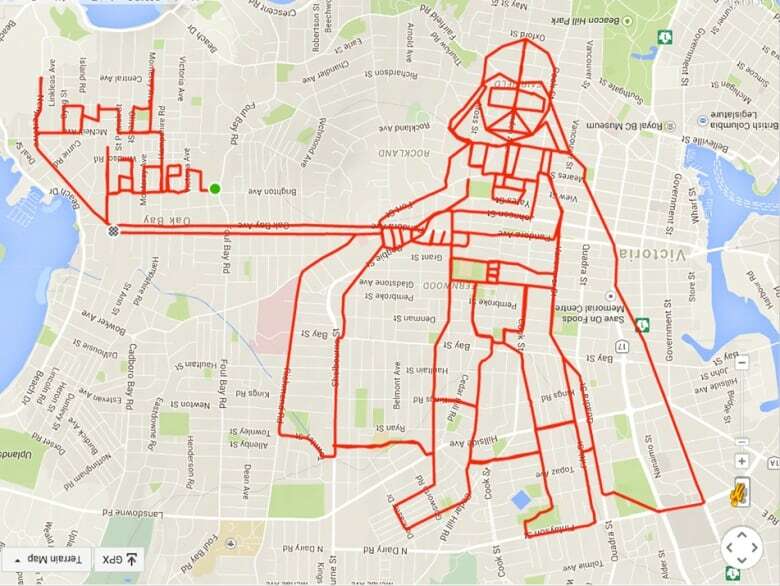 Stephen Lund, from Victoria, B.C., creates city-sized "doodles" using his bike and a GPS-tracking app. 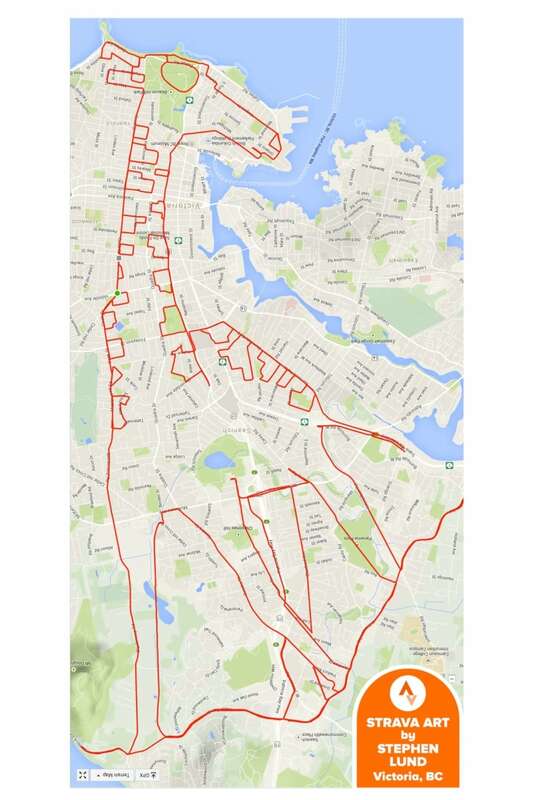 Victoria cyclist Stephen Lund created this Tyrannosaurus rex doodle using a GPS device, his bicycle and creative route selection. The Victoria cyclist averages 70 kilometres per image. 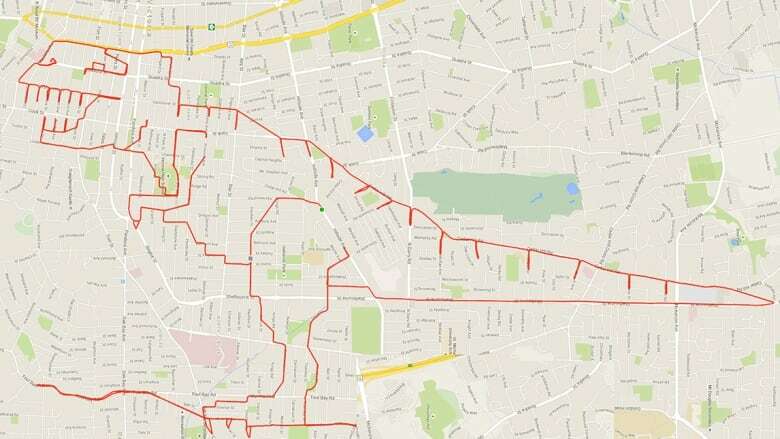 Since making his first GPS doodle in 2015, Lund has pedalled out over 80 sketches, which he records with the Strava tracking app. It's a hobby the serious rider says he started as a way to keep his training regimen fun, but after a giraffe doodle went viral on Reddit, he has become a kind of cycling celebrity, with interviews in bike magazines, local television and in a popular post on the photo-sharing site Bored Panda. In November, Lund was a featured speaker at the TEDx event in Victoria. 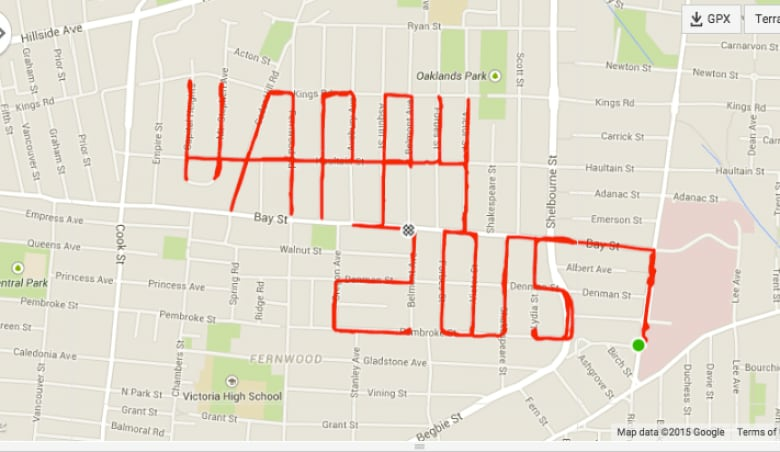 Lund's first doodle was a New Year's message. Anatomically correct, more or less. This time he paid tribute to Michelangelo's David. In his TED talk, Lund stops short of calling his creations "art," favouring the term "doodle" because it's "something everybody does." Through his increasingly popular blog — where all these images can be found — Lund is using his doodles as a way to inspire people to get active outside. First he studies the streets around his home on Google Maps. Then he waits for the doodles to "pop" out like shapes in the clouds, he said in an interview on CBC Radio. He then traces the shape out in streets and writes out turn-by-turn directions before setting out on his bike. Garmina the giraffe was a stretch. Named after the brand of GPS device he uses, Lund has made this doodle into a poster, which is for sale. The force was strong on the Darth Vader ride-along. For the Darth doodle, made in May, Lund put a call out on his blog for a riding partner. 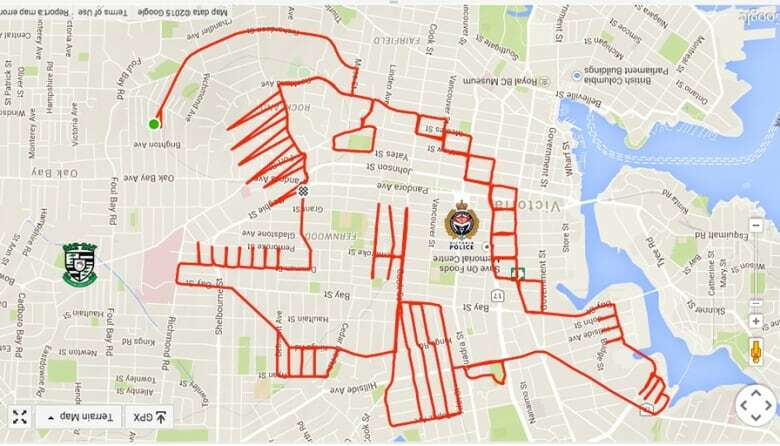 A cyclist named Geoff stuck with him for the "entire 4½ hours" it took to make the doodle. 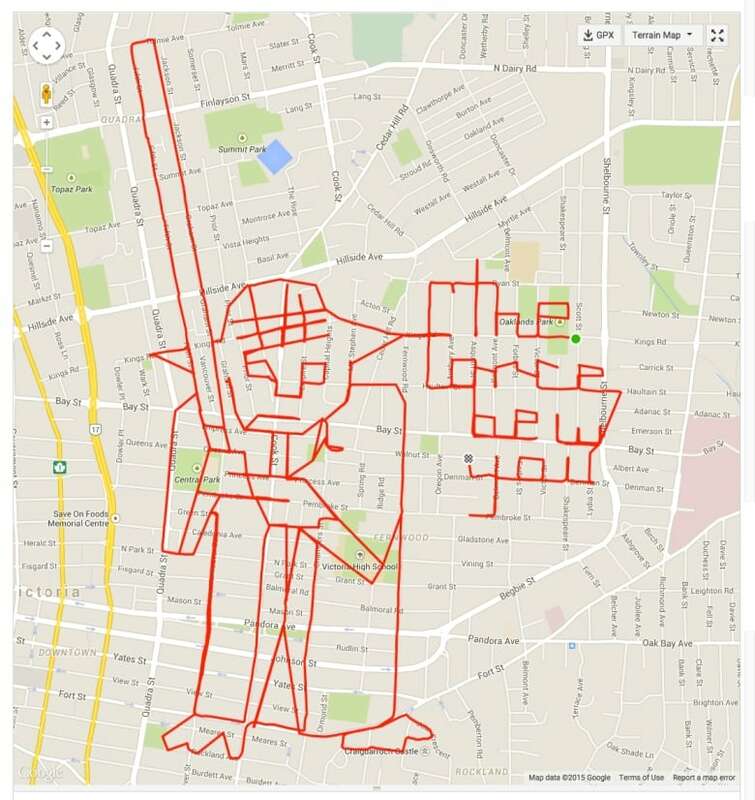 To celebrate Star Wars day (held on the fourth of May) Lund doodled the Jedi master Yoda. Take the bait and try it yourself.